Kahana Crossweave Vinyl Strap Dining Chair with Aluminum Frame - 11 lbs. 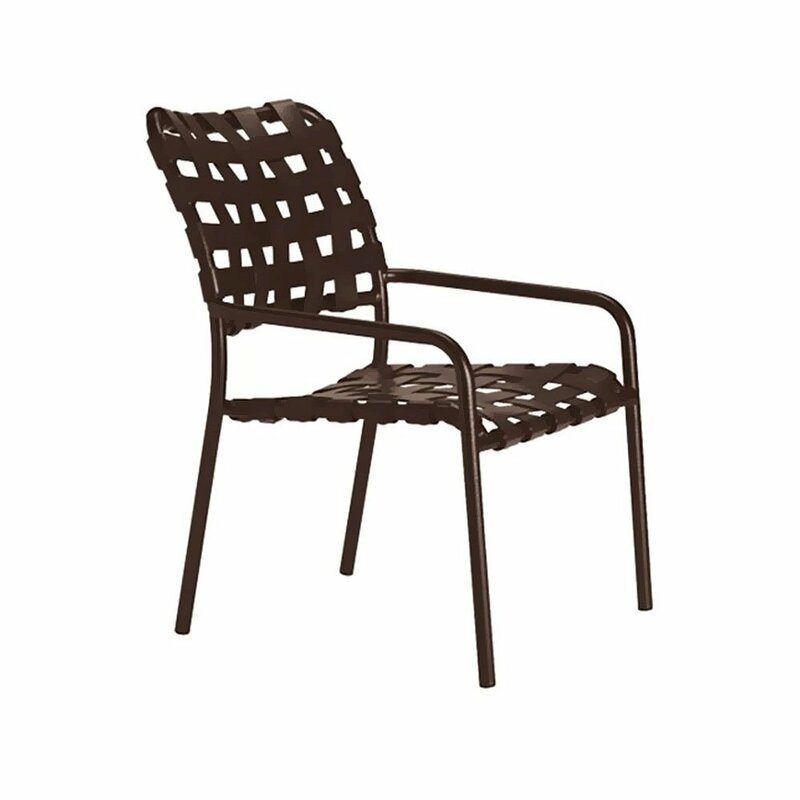 The Kahana cross-weave vinyl strap dining chair brings together durability and affordability. This product uses a heavy-duty all aluminum frame with high-quality cross weave vinyl strap overlayed on top which helps protect this chair from dangers such as harsh weather. This dining chair is stackable and can accommodate up to 8 Kahana chairs at a time. 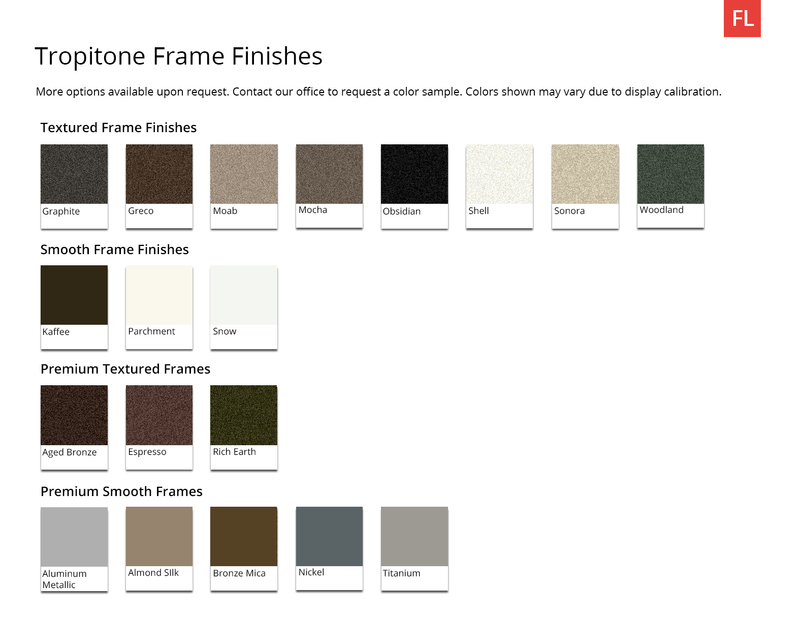 A variety of frame colors alongside a multitude of vinyl strap colors are available to match your locale or setting. This product has an included 5-year limited commercial warranty. • 16" Seat Height with 21.5 Arm Height. 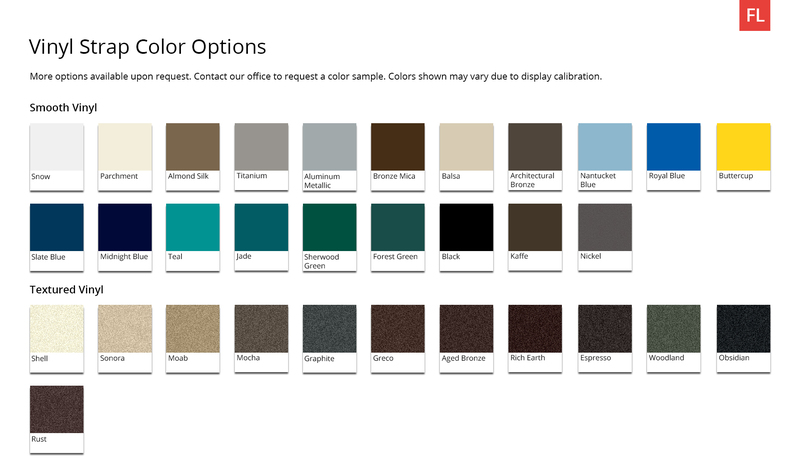 *For residential deliveries please contact customer service at 1-800-213-2401 or via email at Sales@FurnitureLeisure.com. ** All sales on Tropitone products are final - No returns, exchanges, or refunds will be accepted. Kahana Crossweave Vinyl Strap Chaise Lounge with Aluminum Frame - 23 lbs. Kahana Vinyl Strap Chaise Lounge with Aluminum Frame - 21 lbs. Kahana Vinyl Strap Dining Chair with Aluminum Frame - 8 lbs. 20" Round Acrylic Stacking Tea Table with Powder-Coated Aluminum Frame by Tropitone - 8 lbs.